It is imperative that your employees have an understanding of what modern slavery is and the red flags they should be looking out for in order to identify it. Why display this poster in your office? 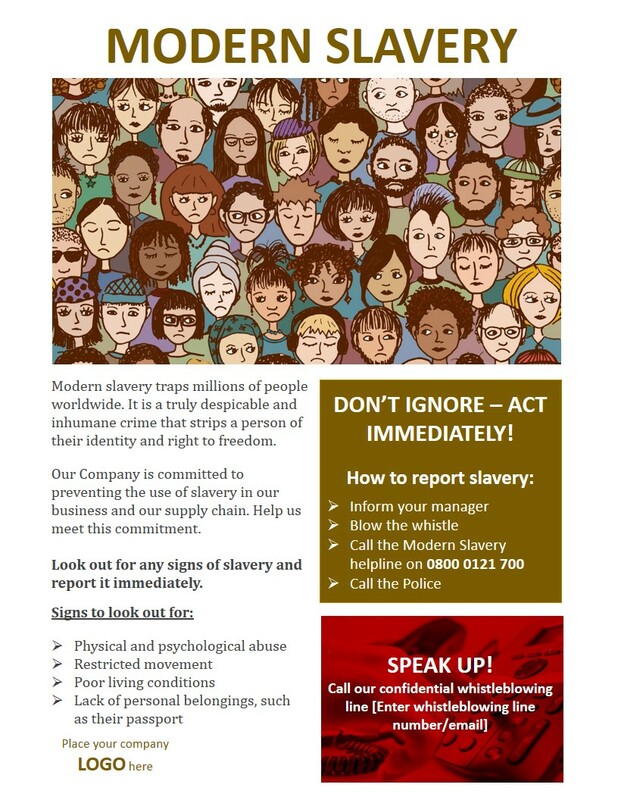 This poster gives a brief overview of the signs to look out for, including how you or your staff members can report it if there are concerns that someone may be a victim of slavery. Display this poster throughout your office and show your commitment to doing everything possible to prevent slavey from happening in your business or supply chain. Be proactive and say NO to modern slavery! !